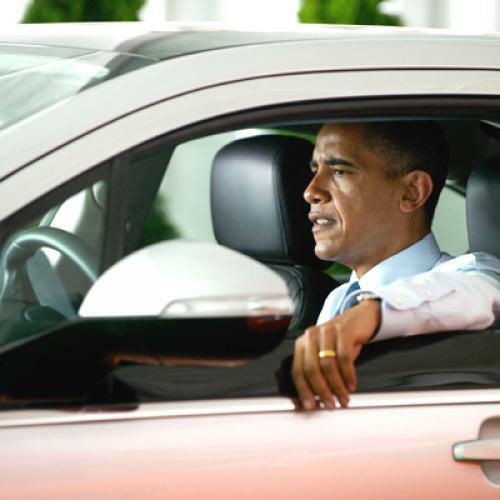 How the auto bailout became one of Obama’s best talking points. Washington—Who could have imagined that the bailout of the auto industry, one of the single most unpopular moves by the Obama administration, would become one of its best talking points? But don't for an instant imagine that the comeback of the nation's rescued car companies, particularly General Motors, will change the way we debate government's role in the economy. When it comes to almost anything the government does, ideology trumps facts, slogans trump reality, and loaded words ("socialism") trump data. Let there be no mistake: rescuing GM and Chrysler took political courage, and I want to put in a good word not only for President Obama but also for George W. Bush. True, Bush's electoral career was over in December 2008, when he extended $17.4 billion of TARP money to keep the companies alive long enough to give Obama a chance to act. Still, it took guts for Bush to decide not to "leave the next president to confront the demise of a major American industry in his first days of office." Yet it was Obama who put in the bulk of the cash—in all, Bush's input had grown to $25 billion before he left office while Obama put up an additional $60 billion—and created the tough restructuring plan. Both presidents faced broad public resistance. A CNN Poll in December 2008 found that 61 percent of Americans opposed the bailout; only 36 percent supported it. When Obama acted two months later, a Gallup Poll found 72 percent opposing the additional money for the auto companies and only 25 percent in favor. At the time, I was in the bailout-supporting minority because a collapse of the car industry would have devastated an already ailing Midwest. Enterprises dependent on the auto companies would have come crashing down. A White House report last week concluded that 1 million jobs would have been lost if the government had not intervened, and some estimates last year went much higher. The decision to lose one of our core manufacturing sectors would also have been irreversible— a severe enough threat that even Bush, the staunch free-marketer, wouldn't let it happen. That's why the Obama administration is bragging a bit about the 55,000 auto jobs added since last June. "The auto rescue," White House chief of staff Rahm Emanuel, who met with a group of columnists last week, said, "is a great example of how the administration's policies helped lead to a turnaround in the industrial base of our country." The arguments against the bailout were predictable but not unreasonable. Many suspected that government would inevitably make politicized choices: plant-closings determined by political influence and Obama favorites on company boards pursuing pet administration projects at the expense of sound business judgments. This didn't happen. Even though the administration lost one fight when Congress voted to protect the interests of the auto dealers, the White House let the automakers behave like private companies. Ron Bloom, a major architect of the restructuring, told the columnists: "For the last nine or 10 months, we've kept our hands off of it." Directors, Bloom added, were chosen for their business expertise, not for their politics. Ironically, Steve Forbes, the former Republican presidential candidate, confirmed the administration's story in an opinion piece in Politico last week, whose purpose was to deny Obama any credit for the auto industry's comeback. "GM's management," Forbes said, "is using solid, conservative, free-market management principles to get the company back to long-term profitability." But this is exactly what opponents of the bailout said could never happen if the government stepped in. By Forbes' own testimony, they were wrong. That's why Obama could declare at a Chrysler plant in Detroit on Friday that "for the first time since 2004, all three U.S. automakers are operating at a profit," meaning that taxpayers are likely to recoup most of their investment and possibly more. Might practical-minded business people now admit that there are occasions when government intervention can be good for capitalism by OK, Wall Street is full of whining ingrates who would have been wiped out absent government help. Many business folks ignore how much they depend on effective government so they can keep complaining about taxes and regulations. But honestly: without government, we would have lost large parts of our auto industry. Doesn't this matter to anybody?